Oh how I love photographing Canton Ohio maternity photographer sessions! It gives me a great opportunity to meet the mommas before they welcome their little ones and we can create some gorgeous images for them to remember this special time. Isn’t pregnancy miraculous?? It certainly suits Jackie! She is one glowing expectant momma. 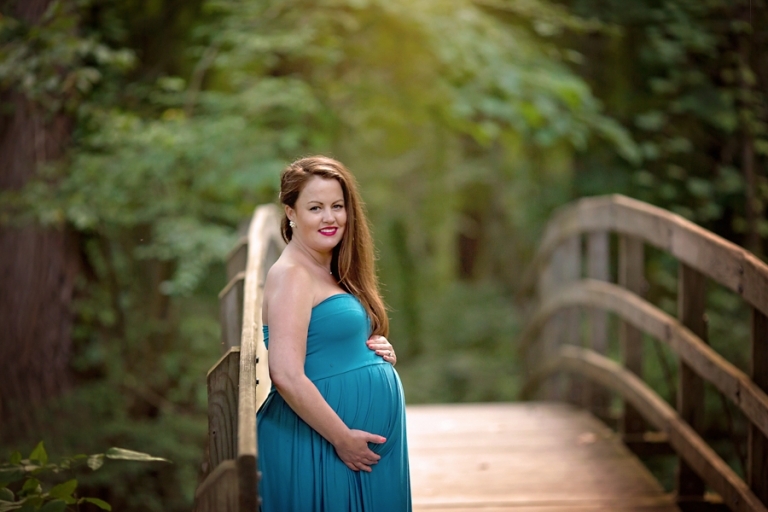 We had such a nice summer evening for Jackie’s maternity session! Evenings are the best time to shoot outside since the lighting is soft and flattering, not to mention it is cooler! How gorgeous is this gown from Sew Trendy on her? I love the lace and how it shows off her bump! We had a lot of fun playing dress up- with so many gowns to choose from in my collection, it was easy to get a good variety quickly! If you follow my blog at all, this bridge most likely looks familiar! This park is one of my go to spots! Not only is it gorgeous, but there is such a great range of backgrounds with great lighting! Thinking of doing an outdoor session? I’ve got plenty of options. Thank you so much for stopping by the blog! Looking for a Canton Ohio maternity photographer? Please check out similar blog posts and the maternity portfolio. If you like what you see, please contact Mary to chat about creating your custom session. Mary Christine Photography is currently scheduling newborn, maternity, and milestone sessions in December and well into 2018. Due to limit space, please plan ahead as I can not usually fit in last minute sessions. Thank you for understanding!